About Dr. Adrian Castro, DAOM, A.P. 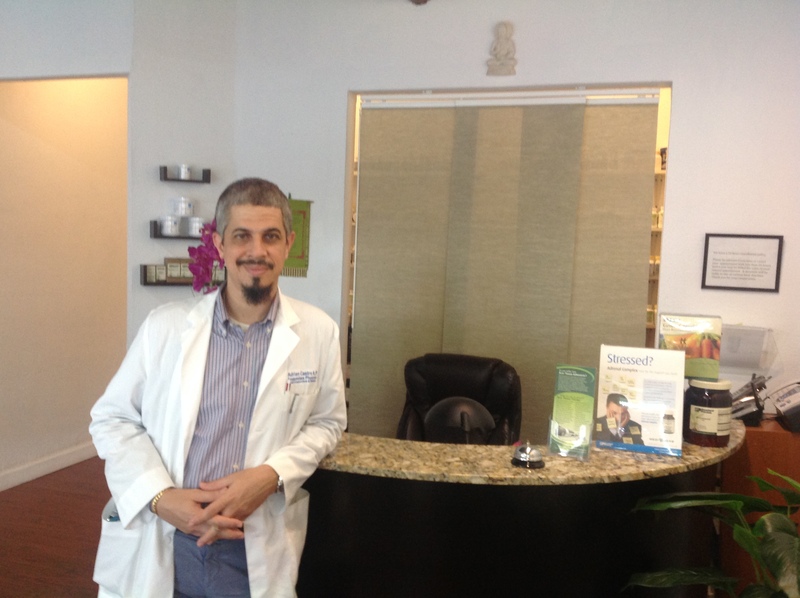 Dr. Adrian Castro has been a board certified Acupuncture Physician in Florida since 2000. He holds a Doctorate in Acupuncture and Oriental Medicine (DAOM) degree with over 5,500 hours of training from the Atlantic Institute of Oriental Medicine where he specialized in internal medicine, specifically auto-immune diseases. He holds advanced certifications in Master Tung Acupuncture, Auricular Medicine, MicroAcupuncture48, Chinese Medicine Ophthalmology, Electro-Acupuncture, EXTORE, Motor Point therapy, and Nanopuncture/Xing Nao Kai Qiao (a specialized stroke rehabilitation technique). As a Primary Care Physician under Chapter 457 of the Florida Department of Health he has provided many patients with rapid health solutions in pain management, muscular-skeletal injuries, degenerative and chronic eye conditions, auto-immune diseases (including Rheumatoid Arthritis, Lupus, Psoriasis, Raynaud’s, Hashimoto’s, Sjogren’s Syndrome), digestive, mental health (anxiety, depression, panic attacks, insomnia), male and female conditions. He has BA degrees in Psychology and English from Florida International University (FIU). He is the author of three books and has been published in dozens of journals and anthologies. He is the recipient of several fellowships, prizes, and arts grants from arts foundations and national arts organizations.